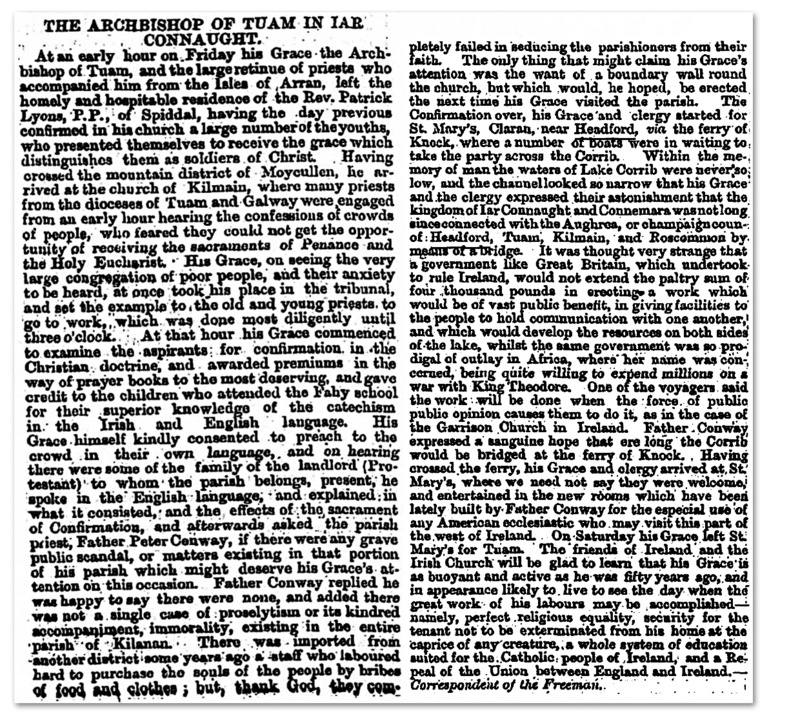 In early August, 1868 Archbishop John MacHale of Tuam was crossing the Corrib Lake from the parish of Killannin, on his way to Headford. In the townland of Knock, North was a slip-way known as “Knock Ferry”. The journey to the opposite side to a place known as “Kilbeg” is approximately half a mile. In the course of the crossing, the Party remarked on the low level of the water and queried amongst themselves why a bridge had not been built there. From reading the comments recorded by the reporter they did not have much hope of this happening. 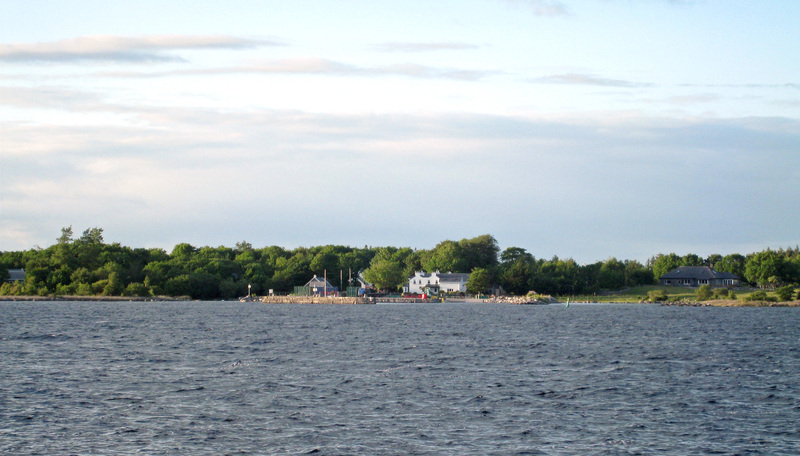 A bridge across that part of the lake would have given easier access to farmers in the Oughterard to Moycullen area, who would wish to trade with people in the towns of Headford, Tuam, Kilmaine, Ballinrobe and Claremorris. 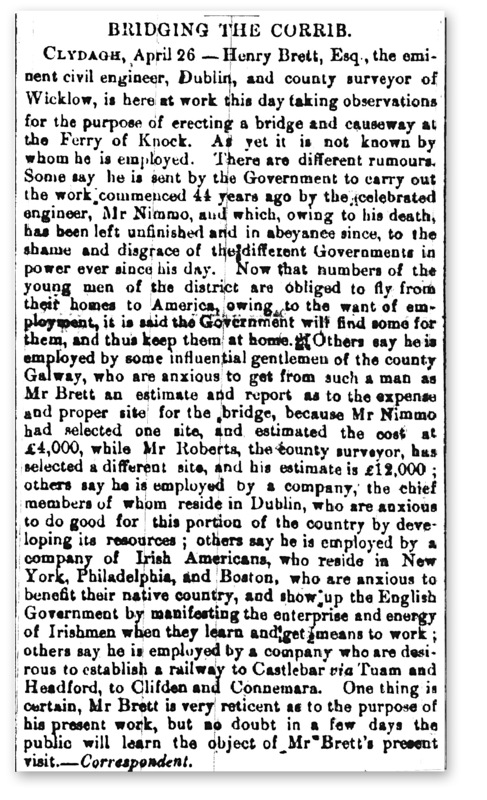 The Galway Express carried a report of Henry Brett, Esq., the eminent civil engineer, Dublin, and county surveyor of Wicklow being in the area taking observations for the purpose of erecting a bridge and causeway at the Ferry of Knock. A public meeting was held in the Square where similar resolutions were passed. 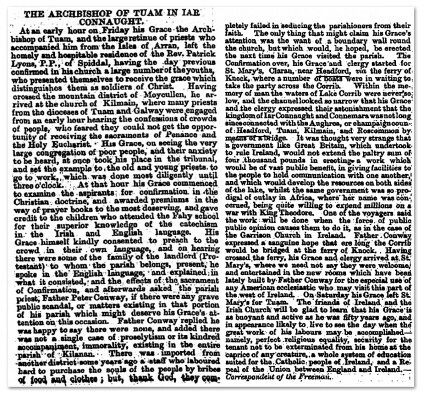 Revd John Connolly, P.P. Killannin acting as secretary. Martin of Ross Estate records for November, 1819 show that Daniel Liddane (Lydon) was being charged a half yearly rent of £35 3s 6d for the privilege of operating the ferry. Record shows that he paid £20.0.0 in cash on April 27th, 1820, £15.0.0 on July 11th and the balance amounting to £9 12s 7d on August 30th which included land rental for Carrowmoreknock. This page was added on 15/08/2014. Your great grandfather would have used a light weight boat, sometimes referred to as a “Currach” to cross the lake. Apparently there was a busy trade between Oughterard and Headford in those times. The water level at Knockferry is low, it being the reason for having a bridge built there. In January 1739 a funeral procession was drowned on what appears to have been the upper part of Lough Corrib, when they tried to cross on the ice covered lake. 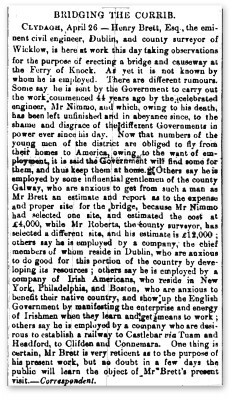 I have been wondering how my 4th great grand father (John Faherty) from Oughterard could have met my 4th great grand mother (Bridget Earner) from Headford in about 1775. They must have had a good boat to get to the other side to find love at first sight. There son (Owen) and his daughter (Julia Ann) ended up in Kentucky USA in the early 1800’s and Julia Ann married my 2nd great grand father (Michael Ahern) in 1845 in Illinois USA.